Congresswoman Maxine Waters (D-CA) has been in the news of late, due to accusations of ethics violations being leveled against her and investigated by the House Ethics Committee. While formal charges have yet to be announced, she is accused of inappropriately using her influence to get favorable treatment (i.e., a $12 million bailout in TARP funds) for minority-owned OneUnited Bank, where she and her husband just happened to have substantial investments. (It seems that the bank had been heavily invested in Fannie Mae & Freddie Mac, so it was hit REAL hard when the government “intervened” in those corporations in 2008.) What’s more, her husband was once on the bank’s board of directors. This isn’t the first time Waters has aided businesses with links to her family, either, to their mutual benefit. 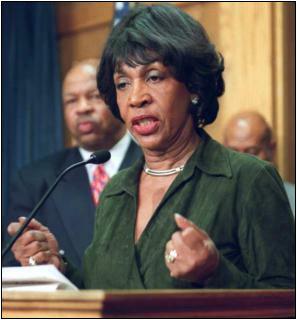 A 2004 L.A. Times article claimed that her relatives — e.g., son Edward and daughter Karen — profited to the tune of over $1 million (over 8 years) from Maxine’s connections. She indignantly denies any wrongdoing in all cases, of course. (She even manages, in this latest case, to turn it around and imply racism by President Bush’s administration.) But, that’s not the focus of this post. I don’t know about you, but I didn’t really know much about Congresswoman Waters. Sure, I knew she is Black, quite liberal, outspoken, and influential. But, beyond that, she’s never really been on my radar before. Now she is, and I’ve found out a few things that give me a much better idea of who & what she is. Five years ago, the Southern Christian Leadership Conference of Los Angeles honored Maxine Waters with the Martin Luther King Legacy Award. Are you kidding me?! Based on what I’ve read/seen of how Waters and her fellow race-baiters in “black leadership” (e.g., Al Sharpton and Jesse Jackson) have co-opted MLK’s name and twisted his dream, I daresay Rev. King shook his head in dismay & exasperation when he looked “down from above” on that award banquet. In order to get a better feel for Representative Waters’ attitudes and positions, let me bring a few issues and events to your attention. During the 1992 riots that devastated so much of the 35th District in South Central Los Angeles, the livelihoods of thousands of Waters’ constituents were ruined by looting and arson. Did Waters publicly condemn the violence or take the rioters to task? On the contrary, she tried to defend the criminals by renaming & reframing what happened. Look, I understand there’s something about getting caught up in a “mob mentality”, but people still have free will whether or not to participate. Does Ms. Waters believe that two wrongs can make a right? If so, then how does stealing TVs (or shoes), raiding liquor stores & local markets, setting fire to stores & cars, and other riot-related crimes help one “deal with”, let alone correct, injustice? Did any of it benefit Rodney King? Does the insertion of a “race factor” make it excusable? Why didn’t she stick up for the many Koreans whose shops were ransacked and/or destroyed by rioters? (Perhaps she did so later, but it obviously wasn’t her first instinct.) I don’t get it, but maybe it’s just that “progressive logic” I don’t understand…. Waters is also of the ilk that believe nefarious conspiracies have been perpetrated by certain governmental parties upon her “people”. For example, she believes that the drug epidemic in urban America can be blamed on the CIA who (apparently) created the problem by encouraging drug use in the inner cities. No matter that Blacks are not the only ones affected by the drug epidemic. (And make no mistake — being Black trumps all in Waters’ mind.) No matter that there is no rational explanation for why the CIA would do such a thing. No matter that this theory was exposed as a hoax by the Washington Post, L.A. Times, and New York Times, among many others. Waters still clings to this ridiculous theory because it fits with her philosophy of minorities (particularly Blacks) being forever victimized by the powerful and more privileged. Oh, yeah. Is it any surprise that Rep. Waters thinks Castro is the bees knees, too? This is a woman who visited the home of Damian Williams, the infamous thug who ‘expressed himself’ by hurling a chunk of concrete at white truck driver Reginald Denny and performing a victory dance over the innocent bystander. This is a woman who rose to power by badmouthing the white ‘Establishment,’ and then shamelessly abused it to secure an ambassadorship to the Bahamas for her husband -– a former pro football player and car salesman whose main qualification was having traveled to the island for a vacation. Not much has changed, apparently. Of course, Waters includes many liberal/progressive causes in her repertoire, as well. She consistently votes for human embryonic stem-cell research and against anything that would ban or otherwise restrict any form of abortion. She is for anything that furthers the gay agenda. She never met a bailout or stimulus package she didn’t like. She supports any legislation backed by the climate change alarmists. She has an aversion to free-trade agreements. She loves gun control and the idea of suing makers & sellers of guns. Open borders and looser immigration policies are just fine by Ms. Waters. The AFL-CIO gives her a 100% pro-union voting record. Like many of her fellow “progressives”, Waters appears to have an affinity for socialistic policies, having expressed, for example, her desire to nationalize all U.S. oil companies. You get the picture, right? Not surprisingly, Waters is also an outspoken anti-war critic. As chair of the Out of Iraq Caucus, she has been on the frontlines not only pushing for immediate troop withdrawal from Iraq but making accusations against President Bush and trying to get V.P. Cheney impeached for supposed “false statements” about the war. Maxine Waters is a powerful player in Washington, with extremely few in her own party willing to take her on, particularly when there’s an opportunity for her to play the race card. Joe Lieberman tried it. He once expressed some “reservations about affirmative action” and gave “tentative support to school vouchers” (which would benefit minority children, by the way). Fairly moderate positions, all in all. When Lieberman got put on the 2000 Democratic ticket for V.P., Ms. 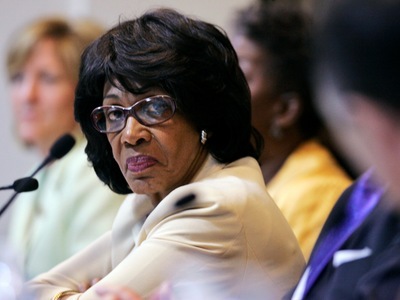 Waters demanded to know why she hadn’t first been consulted on the matter and insisted that Lieberman “explain” himself before the black caucus of the Democratic National Committee (DNC). As a result, Lieberman effectively backed off from his earlier statements in order to get the support of Waters and her compatriots. That is, he was bullied into submission. Whether Congresswoman Waters is found guilty of the current ethics charges or not, let’s be clear. 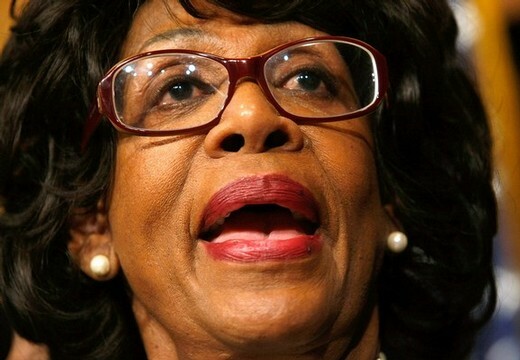 This woman is the epitome of black racism & elitist progressivism in American politics. She has been peddling her race-baiting garbage and double standards in & from the House for nearly 20 years, and she needs to go. 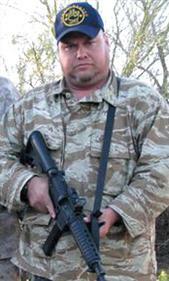 He and his crew are out there week after week, faithfully patrolling the Arizona/Mexico border (on public land) about 50 miles south of Phoenix. Like many frustrated citizens, they got tired of waiting for the government to take (effective) action, so they took it upon themselves to go out looking for “narco-terrorists” and illegal immigrants. They cooperate with law enforcement and report or turn over anyone they find. There are several Minutemen, militia-type groups and other volunteers that are performing similar services, too. Everything from neighborhood watches to aerial fly-bys to scouts & search-and-rescue teams. As long as they don’t go all “vigilante” on any violators they come across, the Arizona LEOs tend to leave them to it. Given the problems Arizona has with illegals and drug-smuggling, you would think every helping hand would be appreciated. The problem is, Ready and his group are not only well-armed, but they identify themselves with the National Socialist Movement (NSM). Yep. Neo-Nazis. (Though, for some reason, they don’t like that term.) One of their central tenets is that only (non-Jewish) white heterosexuals should be American citizens; everyone else should get out or be thrown out. Sheriff Babeu is still concerned about any “untrained” civilians causing “extreme problems” and putting themselves and others in danger. Look, racism is an ugly and disgusting thing. But, like it or not, even racists can be useful. Productive. While true racism is by far the exception these days, such people obviously do still exist. And, like it or not, they can still perform services that benefit the “greater good” — even including for those whom they probably think are inferior or undeserving. There are racist individuals in the armed forces, for example, but they still fight and die for the benefit of all. J.T. Ready is an ex-marine — don’t know about the rest of his group — who is performing a worthwhile function that benefits whites and non-whites alike, regardless of his reasons and personal beliefs. I might not want to associate or work with him, but I’m glad he and his buddies are out there patrolling the Arizona border. It’s their country, too, so let them help protect it. The police and Border Patrol can use all the help they can get. Ironically, Ready and those of his ilk may be the only “socialists” in the country that actually think illegal immigration is a serious problem that needs to be stopped. This story broke at the beginning of this month, but I didn’t hear or see much about it. Not sure if that’s a good thing or a bad thing. But, I thought it worth noting, so here goes…. 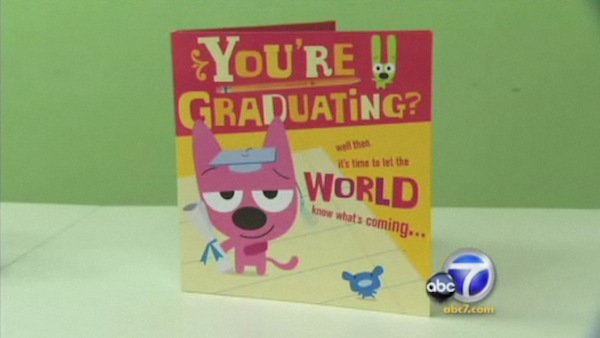 The card has a space theme, with two weird little guys named “Yoyo” and “Hoops” talking about planets and solar systems and stuff. At one point, they refer to “black holes”, which some African-American “leaders” at the NAACP hear as “black whores”. Give a listen… I hear “holes”, not “whores”, even through my computer speakers. What about you? Nevermind that “whores” doesn’t make any sense in context of the card’s theme. This seems to be another case of oversensitive people with a “victim” mentality, imagining insults where there are none. Another thing that Leon Jenkins says they have a problem with is the phrase “Watch your back.” What? Is that supposed to be a threat to Black people? Or, just to Black women? Give the card another listen and tell me if that makes any sense. If they really wanted to do some good, Jenkins et al. ought to promote programs that encourage things like responsibility, self-sufficiency, merit-based rewards, self-esteem (but not at the expense of putting down or distrusting others), not blaming everyone else for you not being where you want to be in life, and an empowering, unafraid, can-do attitude. Kinda like Yoyo and Hoops were doin’. Of course, it’s also sad that Hallmark was so scared of being labelled racists — despite the facts being on their side — that they caved in. CVS not only pulled the card but promised to “do some things for the black community” to make up for it. Very sad. Yeah, I said “Black”. Got a problem with that? I know some people may be offended by that term, but then others say they prefer to be called “Black”, precisely because it’s more encompassing than “African-American” (e.g., it includes Haitians, Dominicans, Jamaicans, Barbadans, some Cubans & Brazilians, etc.). And, the mere fact that I felt I had to explain myself is just one symptom of the problem. Broadly speaking, the problem is “political correctness”. But, right now I’m focusing on the fact that a white person has to be SOOOO careful of what they say regarding people of color, their cultural distinctions, the socio-economic conditions of SOME (including being on welfare), etc., lest they be charged with being a racist bigot. You can’t even state statistical facts that have even somewhat negative implications, because it is assumed you are making judgments based on race. And don’t even get me started on the whole ‘Obama thing’….